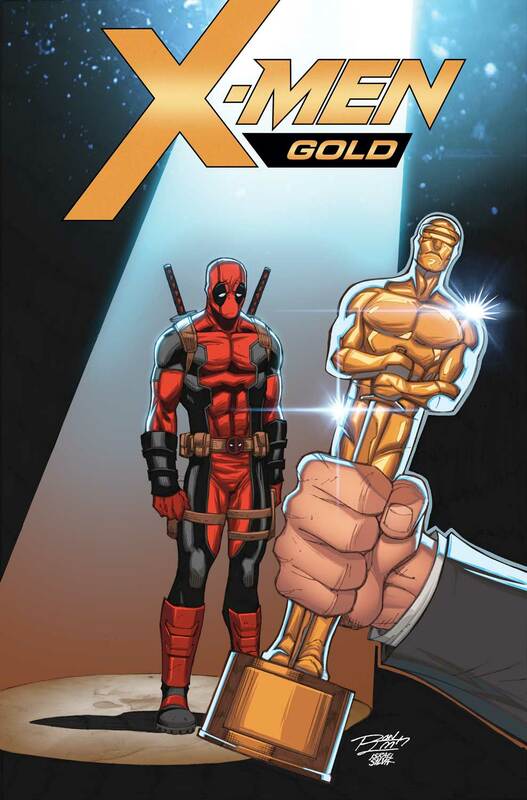 X-Men Gold #1 is a superb issue, blending nostalgia and a desire to look to the future. This is a very promising start for the 'ResurrXion' era! It’s a good time to be an X-Men fan. 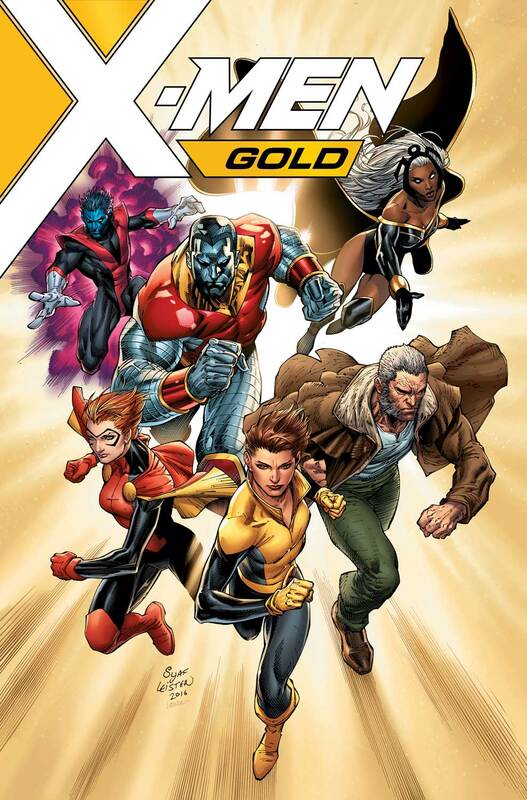 In the wake of last week’s X-Men: Prime, Marc Guggenheim takes point as he launches X-Men Gold. 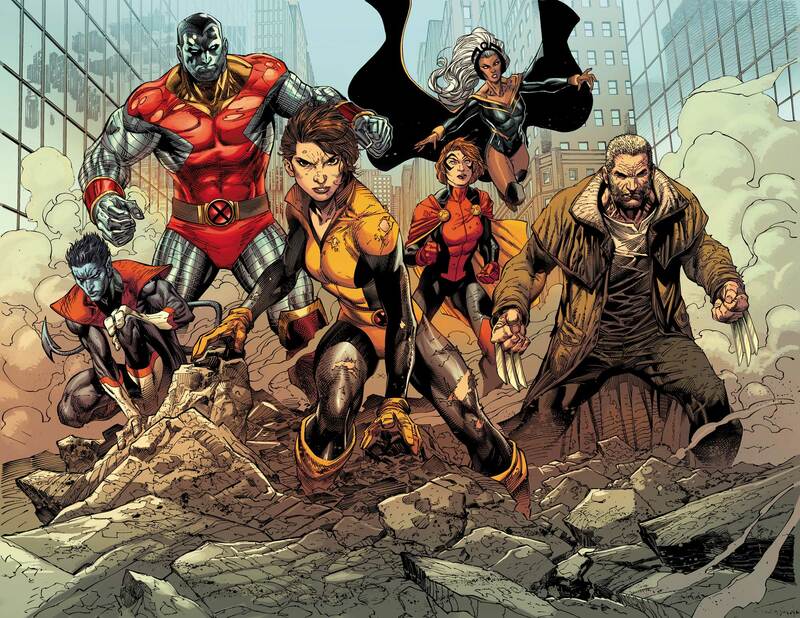 This is the new flagship book of the X-Men franchise, and it kicks off in fine style. Kitty Pryde delivers a speech. The X-Men play baseball. Logan (well, okay, Old Man Logan) gets sentimental, then tries to hide it. Guggenheim fully understands that X-Men fans are a nostalgic bunch, and he’s more than happy to give us the nostalgia buzz we’ve been long for. What pleases me, though, is that Guggenheim doesn’t simply channel Joss Whedon’s Astonishing X-Men run (as I’d feared after reading X-Men: Prime). 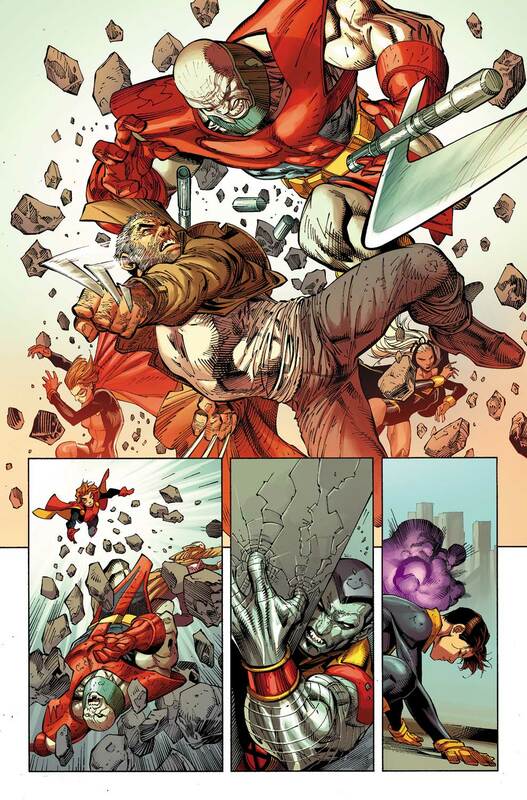 Instead, he shows familiarity with the whole X-Men franchise, with subtle nods to so many different eras. I can’t help chuckling at a reference to Jason Aaron’s quirky Wolverine and the X-Men run, for example. And yet, Guggenheim carefully balances this out with a scene featuring Rachel Grey – who I guess I’d better get used to calling ‘Prestige.’ I love that Kitty chose the code-name, wanting Rachel to move on and look to the future. 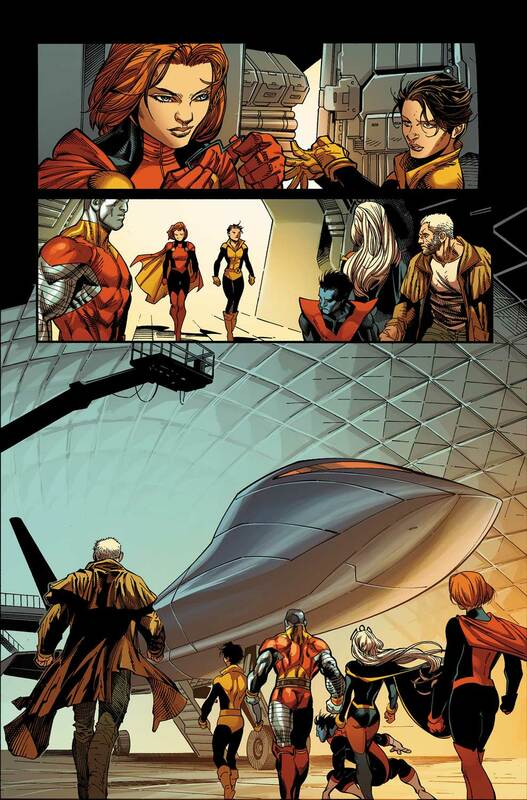 Yes, it’s a nice, symbolic gesture, but any longterm X-Men fan can tell you not to trust Kitty Pryde with code-names. I mean, this is the girl who went through Sprite, Ariel and Shadowcat (and yes, I like the last one). Guggenheim turns this strange new code-name into a character moment, while carefully positioning his book to avoid becoming overly nostalgic. Now that’s smart writing. 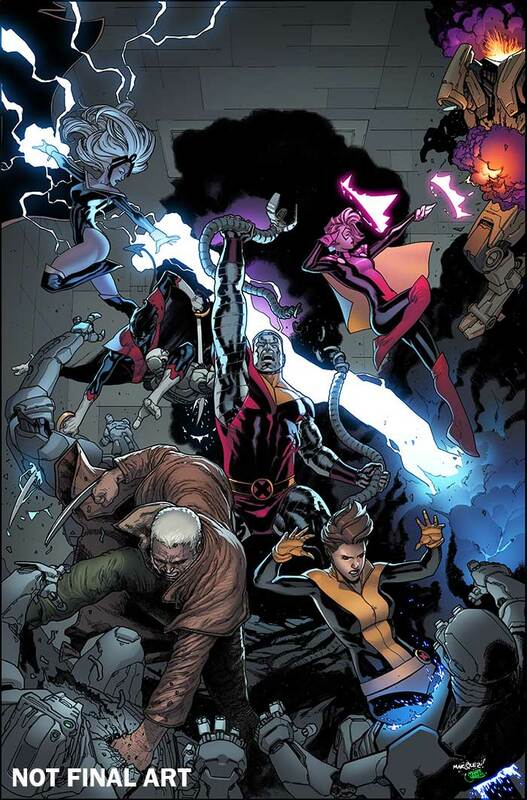 The overarching plot is nothing too intense, with the X-Men proving themselves in battle against Terrax, enjoying some downtime, and then heading off to an attack by the new Brotherhood. We get a perfect X-Men scene, with civilians watching in disgust even as the X-Men save lives; one parent even tells her child not to talk to ‘it’ when the kid speaks to Kitty. In a smart twist, though, Guggenheim opens with what’s clearly going to be a major part of his ongoing arc. He gives us a mutant-hater who’s actually educated, and who’s able to explain why she fears mutants but isn’t afraid of, say, Thor. Fans have always pointed to this as a strange inconsistency in Marvel Comics, and it’s refreshing to see an in-universe explanation. Marc Guggenheim writes like an X-Men fan, one who’s thought a lot about how the X-Men’s world works. Every plot twist demonstrates that writer and editors are both on the ball. There’s a twist in the Central Park plot that will delight fans, as Guggenheim tackles the elephant in the room head-on. In X-Men Gold, we’re guaranteed a series that actually pays attention to logic, and has real fun with it. It’s a promising sign for the whole ‘ResurrXion’ era. Over on the art, I’ve got to say that I’m equally impressed with Ardian Syaf. It’s not seamless, and it’s not perfect, but it’s very strong – and it does the job. Everything is conveyed in just the right way, and Syaf renders quite a few splash-pages absolutely beautifully. I’m definitely impressed. 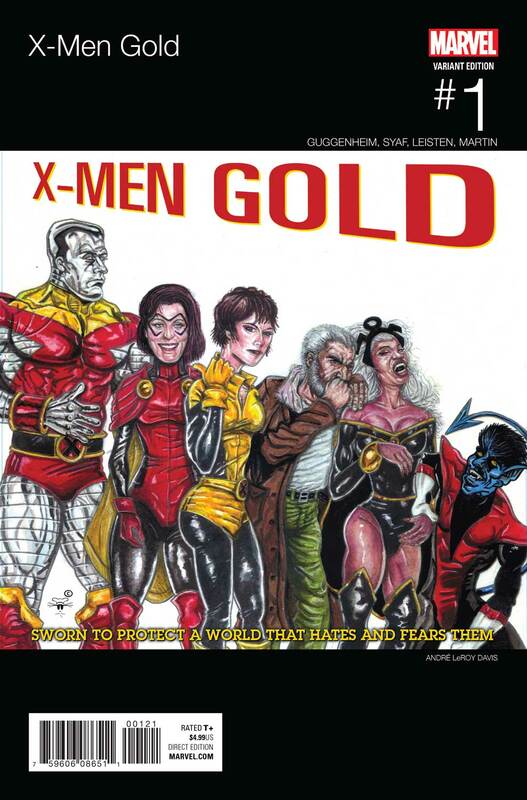 If you’re an X-Men fan, then X-Men Gold #1 is a must-read. It’s a thrilling book, and if the rest of the ‘ResurrXion’ is of this high quality, then we’re in for a treat.